Ribbons finds Bibio focused on the simple yet lasting emotional resonance of an acoustic guitar. Rather than continuing to explore the textured electronics of the ambient leaning Phantom Brickworks album, he uses the guitar as the basis, on an album that works as something of a natural sequel to his 2016 album, A Mineral Love. The pastoral folk sound of much of the album finds Bibio using the guitar to add subtle shades of color to the songs, giving them real emotional depth and breadth. There is an overarching reliance on melody as he adds another sophisticated layer to his songwriting as he incorporates elements of psychedelia, soul, funk, and jazz. "Beret Girl" opens with ripples of reverberating fingerpicked guitar that drifts into sharper focus. "The Art of Living" ruminates on the impressions that the good and bad times leave on our collective character. With a repeating synth figure and subtle electronics bracing the guitar work, he wraps optimism in a sense of yearning. As Bibio works in clarinet and even a cow sample, the song seems to find the most hope in nature, as if he can always center himself by returning to familiar environments. "Before" adds a 1970s soul-funk groove with Stevie Wonder-esque keys. Bibio's voice is even more detached and distant, sounding as if it's being telegraphed from the stratosphere. 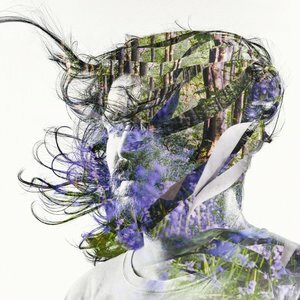 "Curls" slowly warms with Bibio incorporating more traditional, uplifting folk melodies with fiddle and banjo twisting and turning like leaves caught in a breeze. It's another pained song wrapped in gleaming melodies as Bibio paints a gloomy portrait of a relationship on its knees ("Who'd have thought that we'd turn our home to hell?"). With its lo-fi crackle and hiss, "Ode to a Nuthatch", has a warm, comforting feel like putting on old vinyl or hearing a half-remembered kids' TV theme tune from your childhood. The disarming "Watch the Flies" lifts with its lilting melody and flurry of guitar notes. However, there is the inference that he is longing for something more. A yearning for something left tantalizingly just out of reach. On "It's Your Bones" Bibio's voice whispers, low in the mix as he uses strings instrumentation to add an extra percussive element. "Pretty Ribbons and Lovely Flowers" provides a refreshing change of pace. Buttressed by a motorik beat flecked with warped electronics it finds Bibio's wavering voice gradually edging its way out of the shadows. It's the one track here that could have easily fitted on Phantom Brickworks. "Erdaydidder-Erdiddar" could almost be the soundtrack to a medieval dance with its use of fiddle and the steady crack of percussion. Just as it begins to become a little repetitive, whispered, childlike backing vocals give it a chillier, more menacing air akin to wandering into a country fair in the 1970s horror film The Wicker Man. "Old Graffiti" locks into a jazz-funk groove with a descending keyboard figure and popping bass line. The loose jam feel of the song gives the impression of a whole band in full flow rather than one person layering multiple instruments. Nevertheless, it still has an elusive quality with its core sound hard to nail down, encompassing, as it does, so many different eras of music in one sitting. The more ambient instrumental, "Valley Wulf" floats on a cloud of overlapping guitar figures and swelling strings. Album closer, "Under a Lone Ash" ties the whole album together beautifully. In one instrumental piece, it manages to summarise the album as a whole with its pining, wistful melodies all imbued with an overarching sense of optimism. Ribbons is a wonderfully immersive album. The subtle melodies need time to bed in before songs gradually come into bloom but when they do the effect is dazzling. There is a classicism to the songs that give Ribbons a mature, lived in feel but also dislocates it from any specific era, giving it a unique and distinctive feel.